I finally saw the new Star Wars film Rogue One today. It was a pleasant surprise! My expectations for the film were quite low, but it now ranks as my second favourite Star Wars film of all time, ranked behind only The Empire Strikes Back (and tied for second with A New Hope). 2. The film explains what always struck me as an obvious hole with the original 1977 movie: namely, why the Death Star would include such a fatal flaw in its design, such that a single well-aimed shot from an X-wing fighter could destroy the whole thing. That Death Star design flaw now has a plausible rationale! 3. 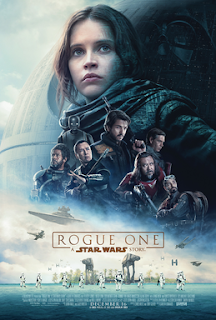 While the good guys succeed in their mission (this is no spoiler, at least not to anyone who has seen the original Star Wars film), it is not a traditional ‘happy ending.’ Instead, the ending is both tragic and hopeful. a. The computer-generated ‘resurrection’ of Peter Cushing (who died in 1994) as ‘Grand Moff Tarkin’ struck me as rather creepy and even distasteful. Frankly, the film didn’t need to use Grand Moff Tarkin at all. b. Forest Whitaker’s character ‘Saw Gerrara’ was pretty pointless. I was expecting more from him. Those quibbles aside, though, Rogue One is my most pleasant movie surprise in a long time. ...and Elves sound like English royalty, etc. 1920s Massachusetts (Boston and Arkham), i.e., "Lovecraft County." Helen Tilton. 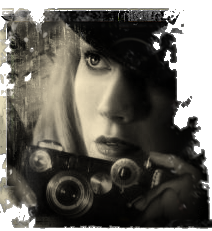 Freelance photographer and journalist. - Sometimes works for the Boston Globe. 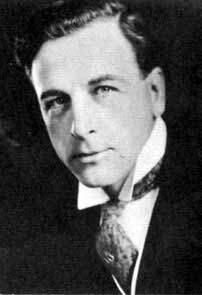 Bertrand Smyth. Lecturer in Archaeology. Originally from London. - Visiting lecturer at Harvard University (1922-23). - Specializes in Ancient Greece. - A veteran of the Great War. 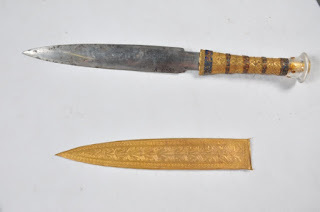 - Cousin of Stephen Knott (property-owner and collector of rare artifacts). - A bit of a ‘fuddy-duddy’ (dresses in an unstylish Edwardian manner). Max Brewster. 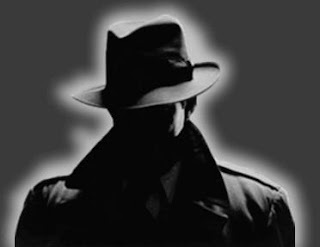 Private Investigator. Bostonian (originally from Lowell MA). - A forty-ish, slightly greasy, gumshoe. - A specialist in dodgy divorce cases. - Plenty of street smarts, but little formal education. The Scenario: The Haunting (September 1922). Stephen Knott – cousin of Bertrand Smyth and owner of several Boston properties (‘Knott Properties’) – hires Max Brewster to investigate the ‘Corbitt house’. Knott has had trouble selling the house because of rumours that it is ‘haunted.’ Helen becomes involved because she knows of the house’s reputation and thinks that there may be a story worth pursuing. Bertrand agrees to assist in the investigation as a favour to his cousin. After some preliminary research the party investigates the house and discovers that it is indeed haunted. 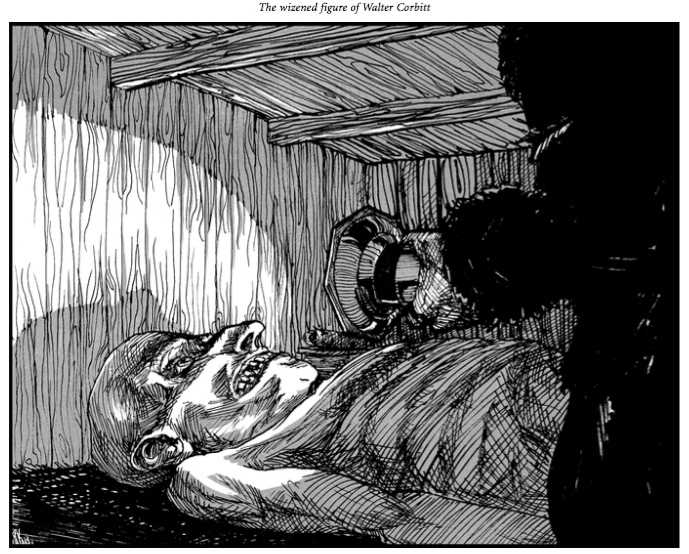 Poor Bertrand is tossed out of a second-story window by an animated cot, and later is attacked by a floating knife. 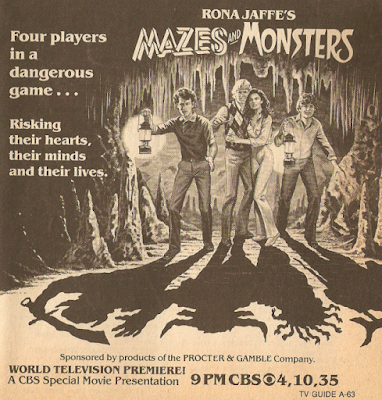 Battered and frightened, the investigators leave the house. Before returning to the house, in the course of their investigations, the party explores the ruins of the ‘Chapel of Contemplation.’ They come across some strange symbols amongst those ruins – symbols that look to have been recently painted. 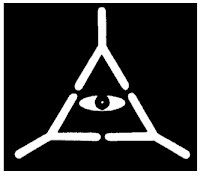 The symbols are of three Y’s arranged in a triangle, with a staring eye in the centre. A previously hidden basement also is discovered. There the investigators locate a moldy journal and an ancient tome (the tome later is identified by Bertrand to be the Liber Ivonis). Employing her connections with the Boston police department, Helen subsequently discovers that the church had been subject to a secret police raid years ago because of alleged unsavoury ‘cultish’ activities. The ‘pastor’ of the church, Michael Thomas, was arrested and sentenced to 40 years in prison on five counts of second-degree murder. However, he escaped from prison in 1917 and remains at large. Eventually the investigators discover a hidden crypt beneath the Corbitt house, and encounter the undead sorcerer Walter Corbitt. It seems that it was Corbitt who had been causing all of the mysterious difficulties within the house since his ‘death’ in 1866 (including the deaths and mental illnesses of the house’s occupants over the past several decades, most recently the Macario family). After a tense struggle, the investigators defeat Corbitt, and the vile sorcerer’s body dissipates into dust. The investigators decide not to mention Corbitt’s existence to anyone else, including Stephen Knott. 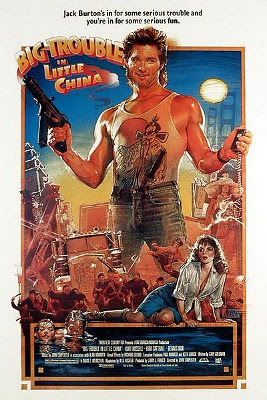 This is a solid adventure that (obviously) has stood the test of time. The players were appropriately creeped out as their investigators learned more about the Corbitt manor and the Chapel of Contemplation. The final encounter was quite tense, with Corbitt taking control of Helen and almost killing poor Max! One weakness with the scenario is that not much is provided in the text in terms of advice for bringing the investigators together and motivating them to work for Stephen Knott. 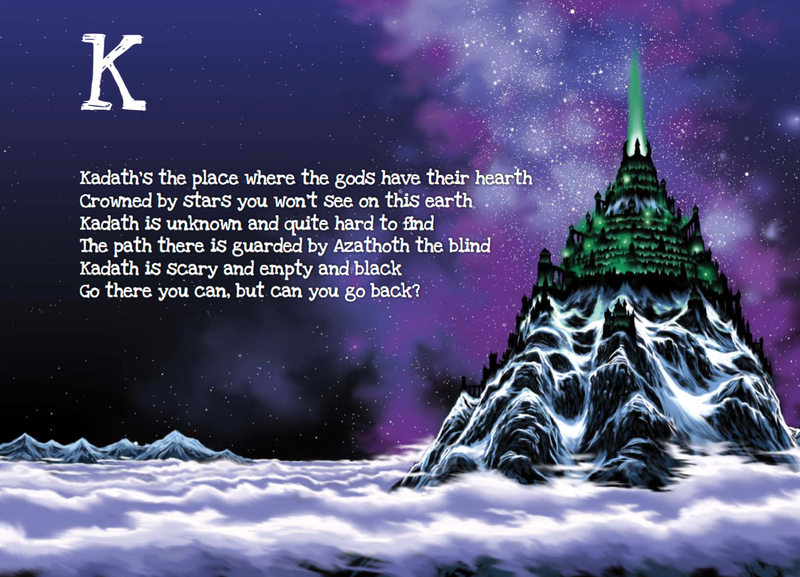 In this respect, I think that "The Edge of Darkness" is a better beginning adventure, as it provides a compelling reason for the investigators to work together and go on the mission in question (it also provides more structure for players unfamiliar with role-playing games). That criticism aside, though, we all enjoyed this adventure. It was a good way to test out the 7e rules. I would give it 8/10. Last month I finally got around to reading The Children of Húrin -- and thoroughly enjoyed it! I've been getting back 'into' Middle-earth over the past few month (in no small part thanks to Cubicle 7's Adventures in Middle-earth book), and so am looking forward to picking up Beren and Lúthien once it's available. For someone who's been dead for over four decades, Prof. Tolkien certainly is quite prolific! Jack Chick has passed away. Chick was the author of numerous fundamentalist Christian comics. The most famous, for fans of role-playing games at least, was the (unintentionally) hilarious Dark Dungeons—which eventually was adapted into the (intentionally) hilarious film by the same name. 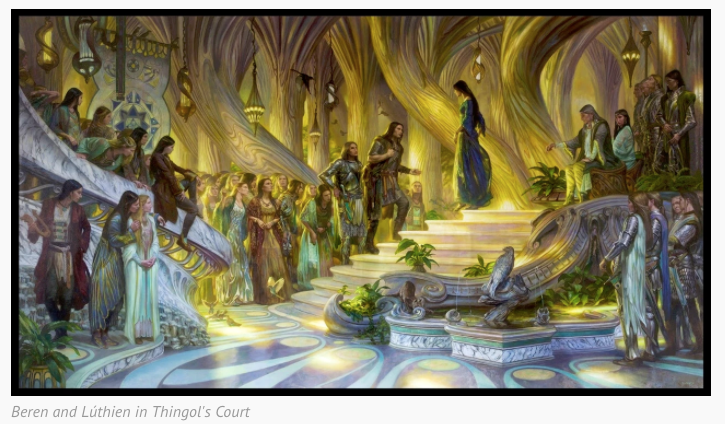 Not the Sons of Fëanor again! I've been busy with the damnable 'real world' of late (hence the scarcer-than-usual blogging here in recent months). But I would be unforgivably negligent if I did not mention this recent New York Times story: "After Mudslides and Flooding in Iceland, Elves Are Suspects." I have a few things I'd like to write about once I get over my current pile of work and forthcoming journeys. Among them: Some thoughts on The Children of Hurin (and a couple of other novels I've read recently), the new revised Crypts and Things, some Mythras updates, some notes on my recent Call of Cthulhu (7th edition) campaign, and some further thoughts on the new Middle-earth supplement for Dungeons & Dragons 5th edition. Also, I'm planning to revamp this blog sometime soonish (among other things, I'll be revising the links, blogroll, and so forth). So, gentle readers, I promise to be back with further musings at the end of the month! A while back I mentioned that Cubicle 7 was producing a Middle-earth supplement for Dungeons and Dragons 5th edition (“Can Gandalf be a 5th edition D&D magic-user?”). Well the PDF of that supplement is out now. It’s called Adventures in Middle-earth. I have it, and after spending a few hours going through much of it, I have to say that I think that it looks quite promising. It does a solid job of adapting the 5e rules to Tolkien’s world, something about which I had been somewhat sceptical. Cubicle 7 provides a general overview here, and a preview is available here. The game is firmly set in post-Hobbit northern Middle-earth. The starting date is 2946 of the Third Age, five years after death of Smaug and the Battle of the Five Armies. 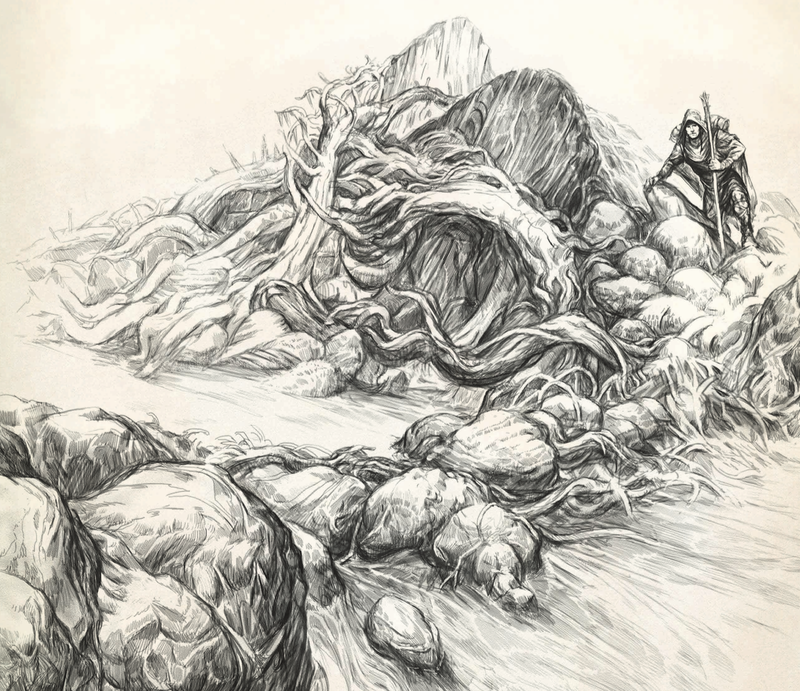 The maps and cultures focus on the ‘Wilderland’ (roughly, Mirkwood and its surrounding territories). There are eleven ‘cultures’ available to player characters. 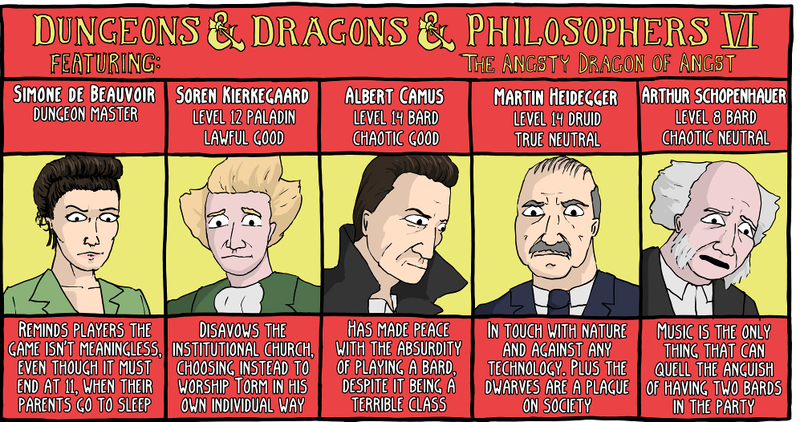 (These cultures replace standard D&D ‘races’.) 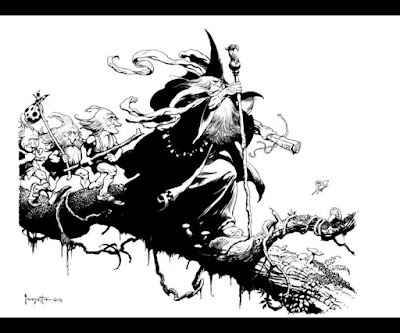 They are: Bardings (those people from Lake-town who followed Bard to re-establish the city of Dale), Beornings (the hairy followers of Beorn), Dúnedain (the ‘Rangers’ of Eriador, that is, the surviving ‘High Men’ remnants of the lost kingdom of Arnor), Dwarves of the Lonely Mountain, Elves of Mirkwood, Hobbits of the Shire, Men of Bree, Men of the Lake (the townsfolk of Esgaroth, now largely recovered from Smaug’s attack), Men of Minas Tirith (Gondorians), Riders of Rohan, and Woodmen of Wilderland. So seven of the eleven cultures are from the Wilderland. This is mildly annoying, as simply adding a few more cultures – say, Elves of Rivendell and Lothlórien, Dwarves of the Blue Mountains, and another Gondorian culture or two (perhaps Men of Dol Amroth and Pelargir, the other two main cities of Gondor in the late Third Age) – would have covered most of the PC-worthy cultures of north-western Middle-earth. Ah well, this is obviously a minor irritation. There are six new classes. They are (with options in parentheses): Scholar (master healer, master scholar); Slayer (rider, foe-hammer); Treasure Hunter (agent, burglar); Wanderer (hunter of beasts, hunter of shadows); Warden (counselor, herald, bounder); and Warrior (knight, weaponmaster). The classes strike me as quite flavourful and appropriate for Middle-earth. You may notice that there are no traditional spell-casting classes! 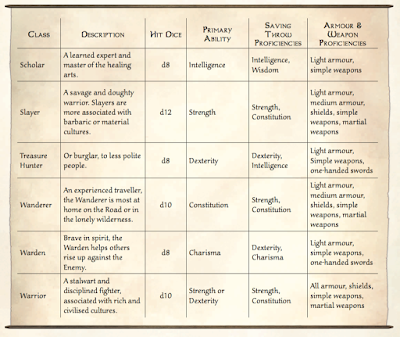 While there are some (quite limited) magical abilities available to characters in the form of ‘virtues’ (cultural feats, such as ‘Wood-Elf Magic’ or the Dwarves’ ‘Broken Spells’), or higher-level class abilities (such as the Scholar’s 17th level ability ‘Words Unspoken’ and 18th level ability ‘Words of Command’), none of the classes can prepare and cast spells in the manner of D&D clerics and wizards. The authors note that you can add such classes (or any other D&D class for that matter) if you think that they fit into your vision of Middle-earth, but they did not want to include them amongst the ‘core’ set. This strikes me as the right approach. 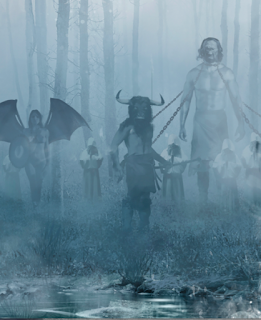 While there are characters within Middle-earth who have magical abilities (both ‘goodly’ individuals like Malbeth the Seer, and certain other Dúnedain, as well as the dark sorceries practiced by likes of the Mouth of Sauron and other ‘black’ Númenóreans), the D&D magic system is generally a rather inappropriate way of modeling them. The backgrounds are rather flavourful as well, and help explain the characters’ goals and motivations. They include: loyal servant, doomed to die, driven from home, emissary of your people, fallen scion, the harrowed, hunted by the shadow, lure of the road, the magician, oathsworn, reluctant adventurer, seeker of the lost, and world weary. 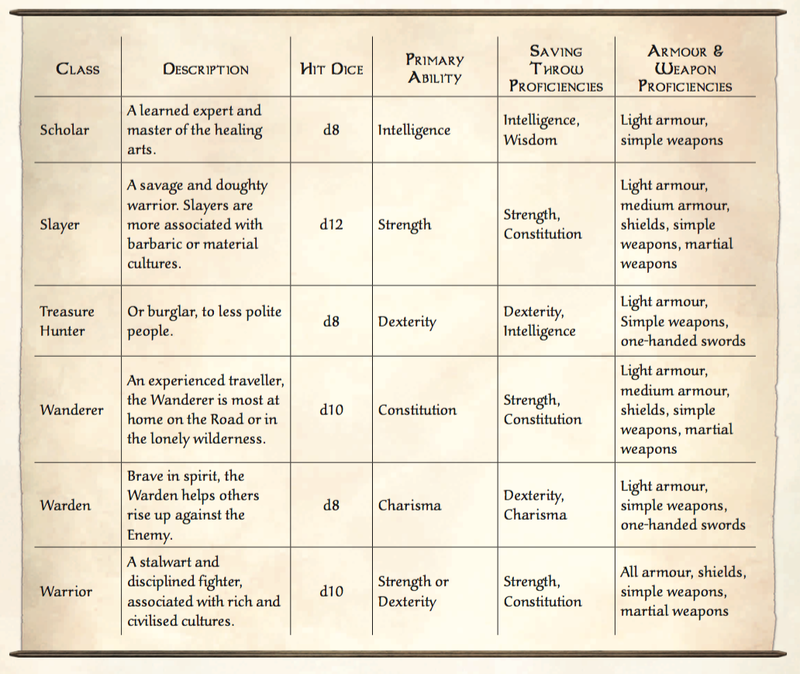 Each background gains two skill proficiencies (so ‘loyal servant’ gets ‘insight’ and ‘tradition’, whereas ‘the magician’ gets ‘performance’ and ‘sleight of hand’) and a special feature (e.g., ‘doomed to die’ has the feature of ‘dark foreboding’). Players also should select a ‘distinctive quality,’ ‘specialty,’ ‘hope,’ and ‘despair’ for their characters based upon their backgrounds. I really loved this section. 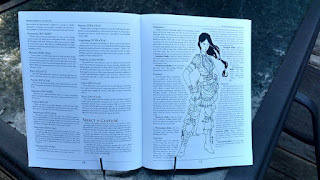 It shows how D&D 5e backgrounds can be shaped to immerse characters within the ethos of the setting. The equipment section covers coinage, trading and bartering, and the world’s different standards of living (e.g., ‘martial’ and ‘prosperous’), which are determined by characters’ cultures. Also covered are weapons, armour, and special culture-specific items (like ‘Dalish fireworks, ‘Dwarven toys,’ pipeweed, etc.). The discussion of herbs, potions, and salves is brief but very good – and quite ‘Middle-earth-ish’ in flavour. Finally, a number of colourful ‘cultural heirlooms’ are presented – such as ‘Dalish Longbow’ and ‘Axe of Azanulbizar’ – that characters can gain if they take the ‘Cultural Heirloom virtue’ or (rarely) find them as treasure during their adventures. I haven’t gotten to the rules for journeys, the Shadow, the Fellowship phase, and so forth yet, but my quick skim of them has me rather excited. I think that this is going to be a fun game to play! I am looking forward to checking out further books in this line. For a more complete overview and review, see this post by Rob Conley at his ‘Bat in the Attic’ blog. 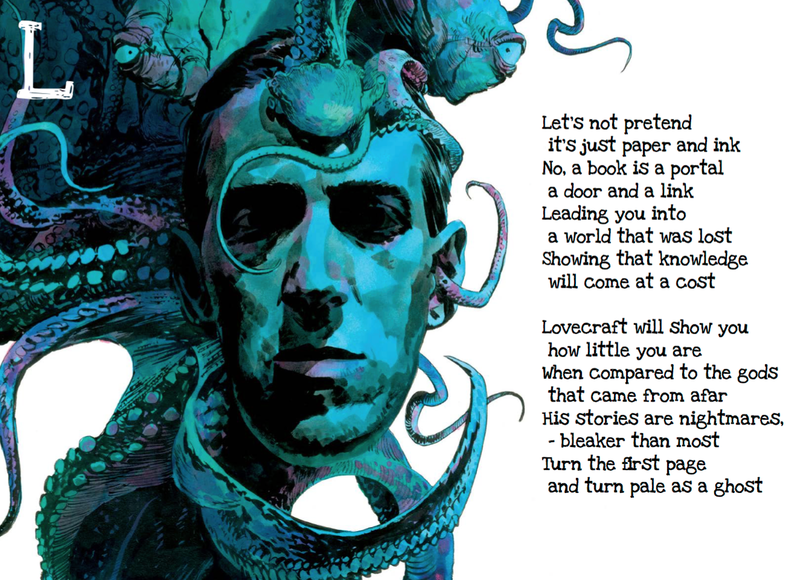 Oh yeah, I should mention that the book is beautiful in terms of art and layout! 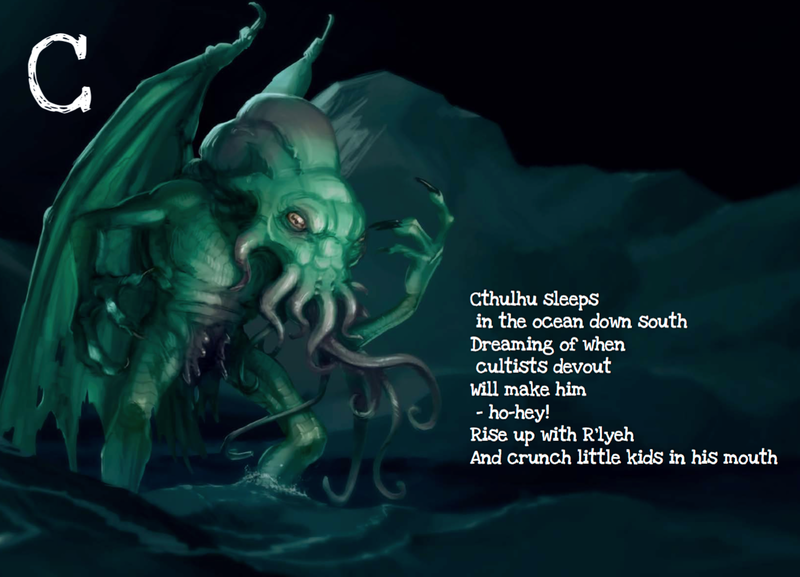 I was excited to discover today that a new ‘children’s book’ based upon the Cthulhu Mythos has been created. It’s called Mythos ABC, and a free PDF version is available. I think I just failed my Sanity roll! 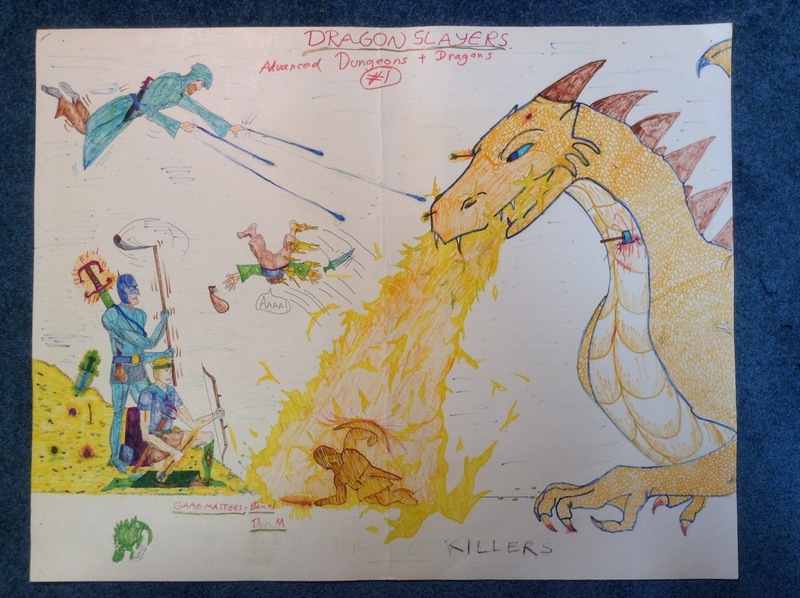 On Monday, our time as custodians of the RuneQuest license formally draws to a close. We've felt honoured and privileged to have had the opportunity to work so closely with such an iconic brand, but all things change, and so we transition from RuneQuest to Mythras. We do, of course, wish our friends at Moon Design and Chaosium every success for the next edition of RQ and we look forward to seeing the results of the game returning to Glorantha. Our arrangement with Moon Design allows us 6 months to dispose of all remaining RQ6 stocks, and fortunately we only have a handful of the RQ6 hardbacks left in stock, so this won't be a major issue. We'll leave them on sale until we either exhaust stocks completely or the 6 months come to a close. All our supplements remain on sale and can do so for up to five years, although we are rebranding all our PDFs will be most likely rebrand the physical stock with the Mythras logo. Additional Special Effects, including firearms SEs and a couple of brand new ones developed for Mythras. We're looking forward to getting this book out there. Another piece of extremely good news is our partnership with Aeon Games Publishing. Aeon is based in the UK and is our fully licensed production and distribution partner for the UK and Europe. If you're outside North America you will be able to order all our books from Aeon Games Publishing directly, and receive them quicker and at much reduced shipping than from our US warehouse. As the company's CEO, Oliver Rathbone says: "Aeon Games Publishing is committed to new and innovative role playing games. Our team of dedicated gamers runs the gamut from old school to cutting edge. 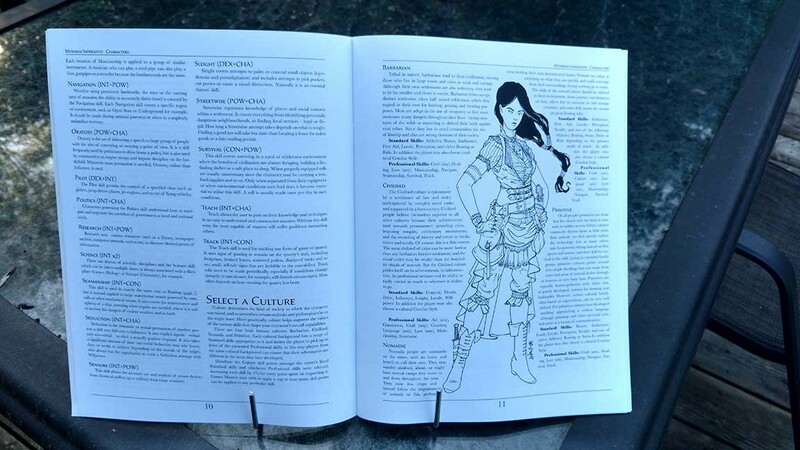 We are proud that our first publications combine the two in the Design Mechanism's Mythras Ruleset which takes the best of the classic Runequest rules and brings them into the forefront of modern gaming. Please see our website at www.aeongamespublishing.co.uk for more details and forthcoming publications." The website goes live early next week. 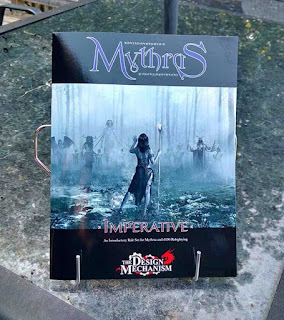 So it's farewell to RuneQuest 6, but Well Met to Mythras. This is an exciting time in The Design Mechanism's evolution and we continue to be indebted to all our fans and customers for their support, encouragement and enthusiasm. I'm looking forward to checking out the new Mythras core book once it's available, and playing the game for the foreseeable future. 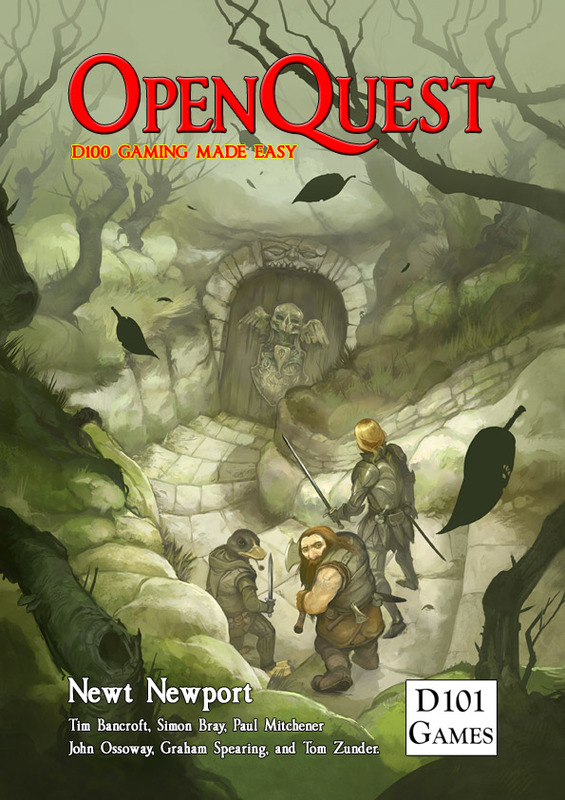 But it'll feel strange not to refer to the game as 'RuneQuest', as I've been doing for almost six years now (ever since I started playing MRQII in the Young Kingdoms). 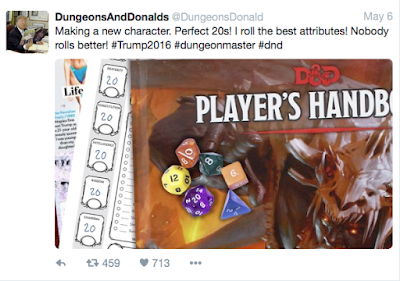 I don't pay that much attention to Twitter usually, but this account, "Dungeons and Donalds," is really quite entertaining! Joe Abercrombie reflects on the publication of his first novel, The Blade Itself, ten years ago. If you're a fan of fantasy fiction and are unfamiliar with Abercrombie's work, you owe it to yourself to check out the First Law trilogy as soon as possible! There is a very good OpenQuest ‘bundle of holding’ deal available until April 4th. It consists of four PDFs – the 2nd edition rules and three adventure packs – for only 8.95 USD. So if you’ve been curious about OQ, the ‘rules-light-ish’ OGL version of RuneQuest published by D101 Games, then this would be an excellent opportunity to satisfy that curiosity! And for some interesting background on OQ – why and how Newt Newport created the system – check out this post at Newt’s ‘Sorcerer Under Mountain’ blog. 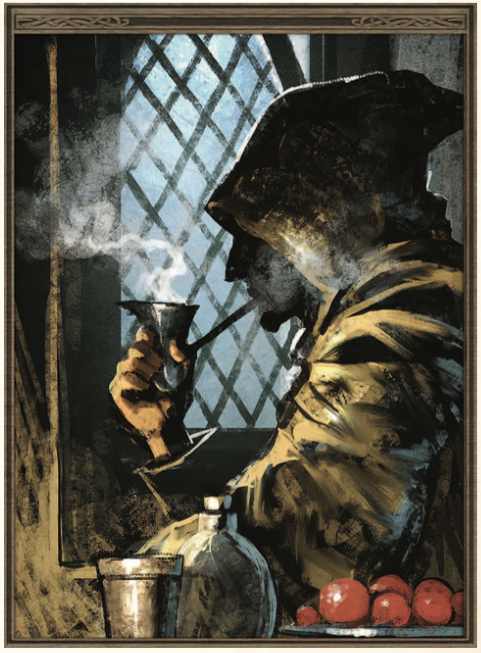 Cubicle 7, publishers of The One Ring role-playing game, will be coming out with a series of Middle-earth products for Dungeons & Dragons 5th edition. "How to tell if you're in a Viking Saga." I especially liked: "Greenland is horrible, but you have persuaded people to move there with false advertising." 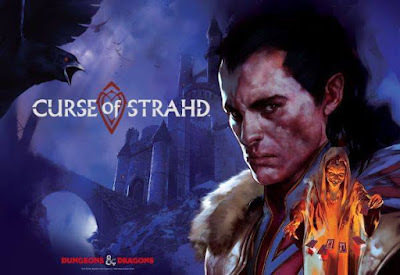 My friend Christopher Robichaud has given me permission to repost the following short review of WotC’s new 5th edition D&D adventure, Curse of Strahd. The significantly disappointing thing about Curse of Strahd is that it's just the 5e version of I6: Ravenloft. And the thing is, I'm exhausted with that scenario. I6: Ravenloft, for its many flaws, is among the greatest D&D adventures of all time. And since no good deed can go unpunished, its popularity and success have made it the single most remade D&D module ever. The 2nd edition remade it with House of Strahd. 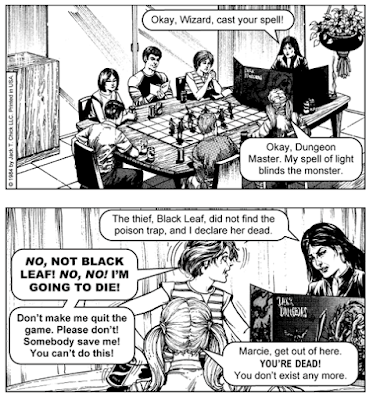 The 3rd edition remade it with Expedition to Castle Ravenloft. And now the 5th edition has remade it again with Curse of Strahd. I longed for something more. 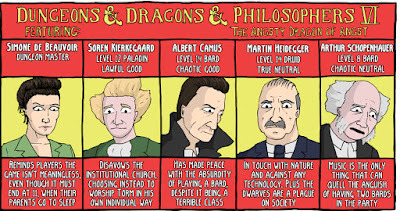 Princes of the Apocalypse was, in my opinion, an ultimately disappointing reboot of Temple of Elemental Evil. But at least it tried to do something new with the mega-dungeon, as did its predecessor, 3e's Return to the Temple of Elemental Evil, a direct sequel to the original and quite good in its own right. 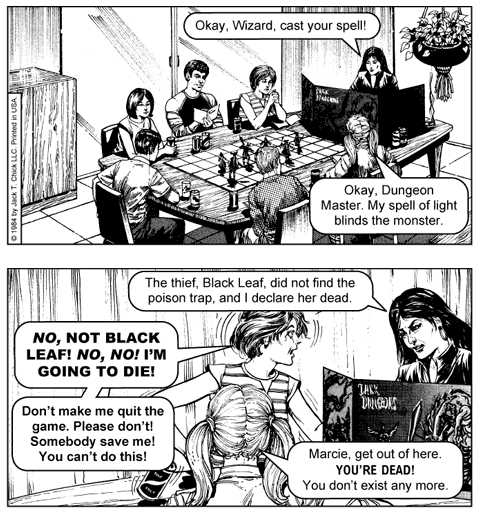 We've gotten very little of that with Ravenloft. The original module has a weird and wild sequel, Ravenloft II: The House on Gryphon Hill, and of course, House of Strahd was part of 2e's entire Ravenloft campaign setting, which in addition to featuring lots of other villains, revisited Strahd on occasion with From the Shadows and Roots of Evil. But that's about it. Of all the 5e campaigns WOTC has put out, this one is the biggest letdown. It's just a rehash of I6 with more of Barovia fleshed out, an idea already explored at length in Expedition to Castle Ravenloft. 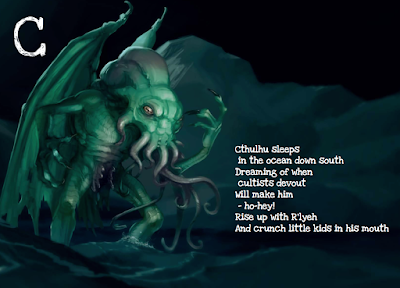 We don't need a 5e version of the same story. You can convert any of the 1e, 2e, or 3e Ravenloft modules just fine. What would've been great would have been a reboot along the lines of Princes of the Apocalypse. Even if it fell short, it would've been something fresh. Alas, it was not meant to be. Curse of Strahd, I'm afraid to say, is as stale as the air in the catacombs beneath Castle Ravenloft. What a shame. I didn't mention that I think, as far as it goes, it's a fine 5e version of the module. It nicely expands the lands around the castle in a way that allows players to play in a sandbox more than just showing up and then heading right to the castle. So perhaps there is a reason to get the adventure after-all (namely, if you want to use I6 in your 5e game, but can’t be bothered to convert I6 to 5e yourself).